Yesterday against the Royals, Blue Jays first baseman Edwin Encarnacion hit his 15th and 16th home runs of the month, tying Mickey Mantle for the most homers ever in May for an American League player. Barry Bonds holds the Major League record for the month with 17. Along with the almost-as-hot Jose Bautista, Encarnacion has led Toronto on a 12-2 steak which has them in first place in the American League East. 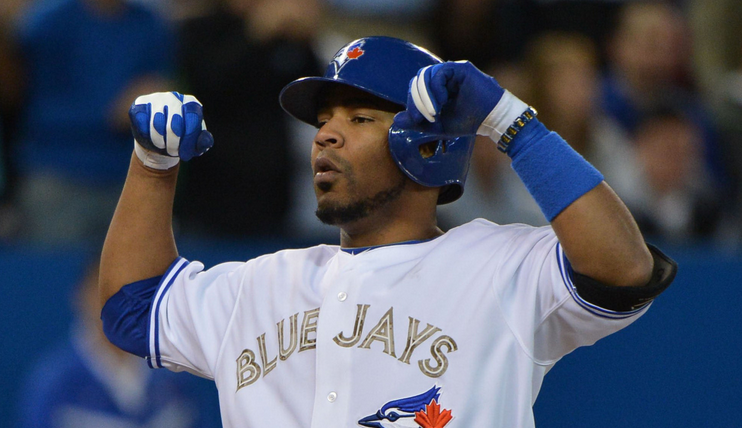 It was the fifth time this month Encarnacion has homered twice in a game, and his 17th and 18th home runs overall. Yes, it wasn’t that long ago that Encarnacion’s fantasy owners were worried about his April power drought. He now has two more days to pass The Mick and tie or pass Bonds for overall May home run supremacy. Over half of Encarnacion hits this month have been dingers. So while his overall May stats of .284 with an .OPS of 1.139 and 33 RBIs are excellent, they aren’t quite historic. (Yet) Check out the ten best months in baseball history below. Topping the .500 batting average mark in a calender month is an unusual feat, indeed. That’s what Rockies first baseman Todd Helton did in May of 2000, hitting 12 homers and driving in 28 while slashing .512/.588/1.000 for an OPS of .1588. Of course the question becomes how many of his May games were played in the thin air of Denver? The answer is 15 of the 23, which is why Helton isn’t higher on this list. ’98 was the year both Sosa and Mark McGwire darted past Roger Maris‘s then-home run record of 61, with McGwire outlasting Sosa 70 to 66. But it was Sosa who got the booby prize of the National League MVP. He also had the best month in that magical (and drug-addled) season. In July, Slammin’ Sammy slugged an all-time record 20 home runs in 27 games and drove in 40. He only had 14 other hits, which explains why his slashline of 1.173 is a little on the light side for an historic month. Still, nobody has ever matched Sosa’s pure power over a 31-day period. On July 31 of 1937, Rudy York was hitting 251 with 12 homers and 42 RBIs. Pretty good numbers for a rookie, but not enough to land him on the American League All-Star team. York then wouldn’t make another start until August 4th, a game in which he hit a home run and drove in four. There would be 17 more home runs and 46 more RBIs over the rest of August, and the 23-year old finished the month with a .363/.429/.920 slash line. His 18 dingers are the second most homers in a month ever, and his 50 RBIs are the second most driven in for a month in the modern era. 1920 was Ruth’s first year as a Yankee and his first year as a full-time batsman, although he had managed to slug a then-record 29 homers in 1919 while still making 15 starts as a pitcher. After going 0-for-April in homers and ending the month with a paltry .226 batting average, Ruth exploded in May and June, hitting 24 homers and upping his batting average to .372. That was just a prelude to the greatest month of baseball’s greatest player’s career. 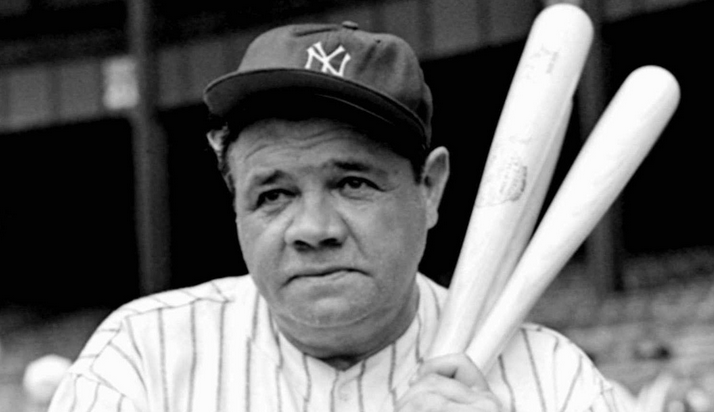 The Big Bambino would slash .440/.611/.970 in July with 13 homers, 45 runs, 33 RBIs, 43 walks and five stolen bases for good measure. When you begin a month hitting over .400 you have to do some pretty nifty work with the bat to up your average by the month’s end. That’s exactly what DiMaggio did in August of 1937 — raising his average from .403 to .405 while also hitting 14 homers and driving in a modern-era record 53. He also walked 19 times in the 31 games and because he’s Joltin’ Joe he only struck out four times. He would end the season with a .381 batting average. If it wasn’t for the strike that ended the 1994 season in early August, Frank Thomas may have ended up with one of the best offensive years in Major League history. The Big Hurt’s signature month of the shortened season came in May, when he tripled slashed .452/.593./988 for an absurd .OPS of 1.581. His counting stats included 12 homers, 39 runs, 28 RBIs and 31 walks in 27 games. Yup, Barry Bonds takes the four greatest months in baseball history and they all happened over a four year period when he was in his late thirties and into his forties. Of course we’re also pretty sure Bonds was taking PEDs over that time period. But stats are stats, and we really don’t have a clear accounting of what possible illegal substances other players on this list — and throughout baseball history — were taking. So let’s ignore all of that for now and break down Bond’s four historic months one-by-one. 4. May 2001: 2001 was the season Bonds hit a record 73 homers. He was red hot from April-to-October and especially hot in May. During the spring month famous for its flowers he hit 17 homers, second most ever, drove in 30, walked 31 times and posted an .OPS of .1583. 3. August 2004: In the month after he turned 40, Bonds walked 38 times, 15 time intentionally. He saw enough pitches to slug 11 homers and drive in 27. His .OPS was 1.615. 2. August 2003: Bonds may have been even better when he just turned 39. Although he only played in 15 games, and walked 20 times, Bonds managed to hit seven homers in his 42 at-bats. His triple slash was .452/.629/1.024 for an .OPS of .1653. 1. April 2004: Two of the three greatest months in baseball history occurred during Bonds 2004 season. Not so surprising, since his 1.422 .OPS that year is the also the best ever. Bonds started the year with quite the bang, hitting 10 homers in his 52 official April at-bats (he walked 39 times, 18 intentional) with 22 RBIs. That’s a triple slash of .472/.696/.1.132 for a best ever monthly .OPS of 1.828. Old man Bonds could sure hit.